Innovation is good. 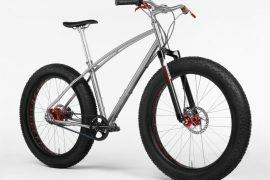 Even if all it does is inventing the wheel or in this case the frame. 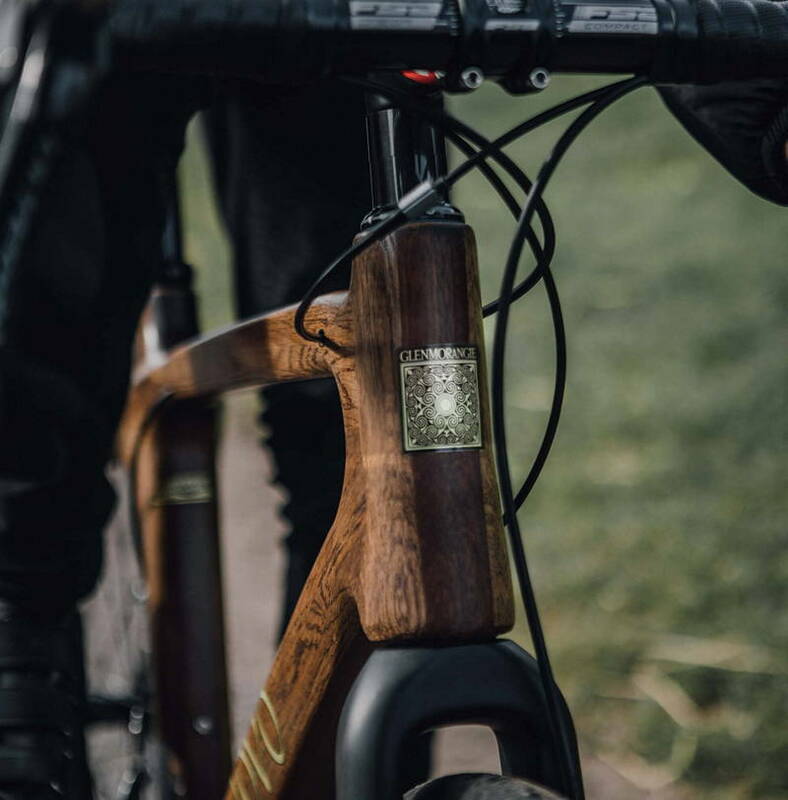 As part of Glenmorangie’s “Beyond the Cask” series, the Scottish whisky maker has teamed up with the Oregon-based Renovo Hardwood Bicycles to create a unique wooden bicycle named, the Glenmorangie Original Bicycle. Founded in 2007, Renovo has made a name for itself as the first inventor of road-ready wooden bicycles. 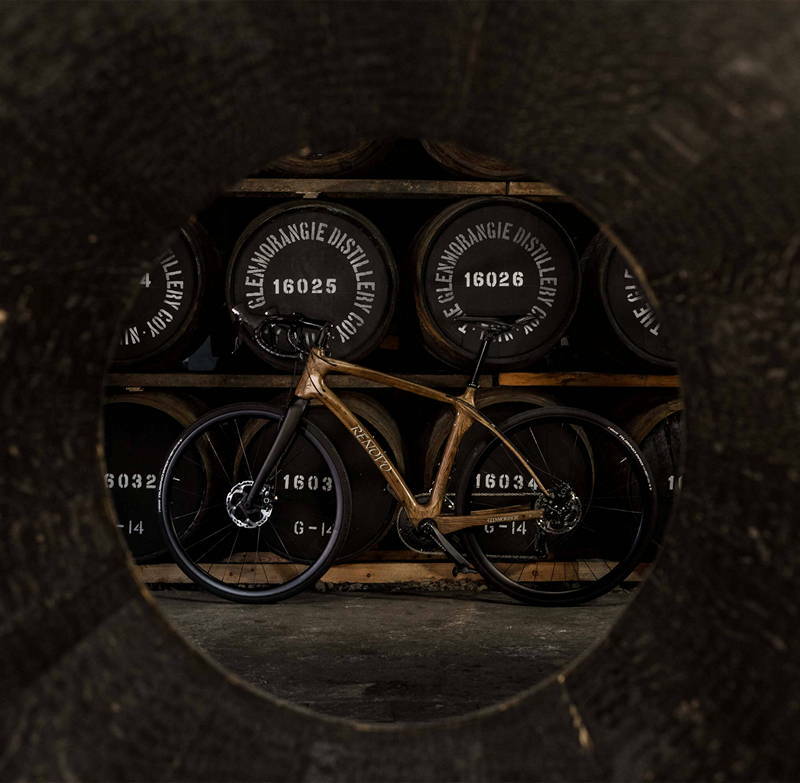 The two companies clicked instantly, and agreed to make the world’s first bicycle made from whisky casks – both have a shared passion for wood, exceptional craftsmanship and innovation. The wood for the bicycle comes from Glenmorangie. They send the casks they use for maturing label’s signature single malt, the Glenmorangie Original, to Renovo. In a way, this is a homecoming for the casks. The American oak used to make barrels come from distillery’s own forest in the Ozark Mountains of Missouri. In their first two years, barrels are left to air, they then spend next four years in Jack Daniel’s and Heaven Hill distilleries maturing bourbons. Glenmorangie – after six years, gets to use excellently matured ex-bourbon casks to age their finest whisky, the Original, which they mature for ten years! 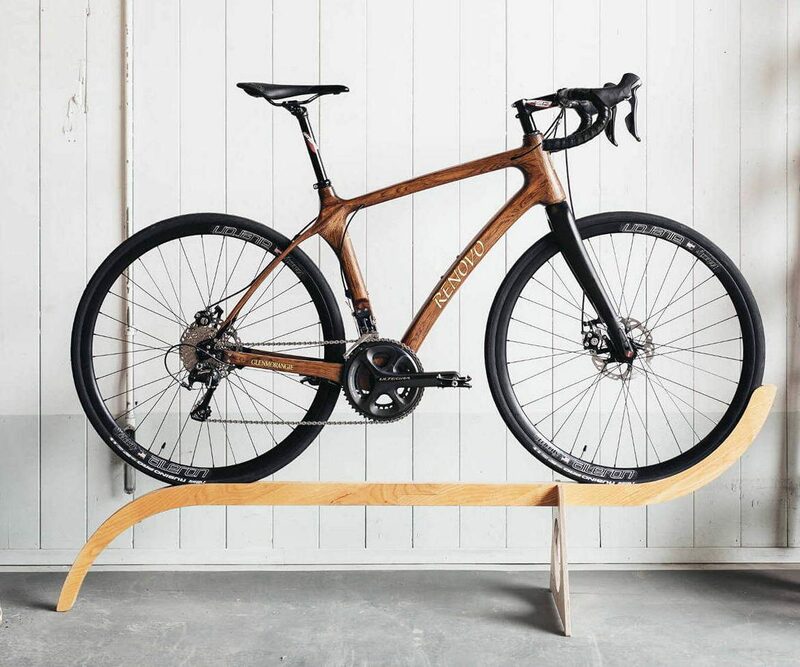 Ken Wheeler, the founder of Renovo find the cask wood’s perfect bike making material because of its supreme ability to absorb shock and resist fatigue. A qualified aeroplane engineer and keen cyclist, Wheeler and his team, design and make hollow-framed wooden bicycles. “Its engineering properties are ideal for bikes, as hardwoods have a high stiffness. For us, the only aspect that was different was the shape of the staves, which have a curve to them, and the fact that they were a little damp, after spending years with whisky inside them… which, by the way, made them smell pretty good. Although we have to admit to whisky fans, the scent has now diminished!” says Wheeler. 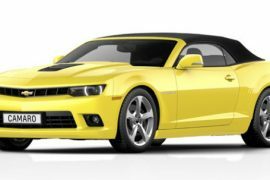 Renovo design spent a considerable time to find the best way to use curved staves. They have finally decided to use them on the largest tube of the bicycle, which carries the most load. It takes 20 hours and 15 staves to build each bike. This includes cutting staves into shape and removing charcoal from charred barrels. 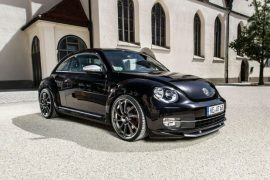 They also add some Mahogany-like sapele wood for colour contrast aesthetics. Finishing touches arrived in the form of a durable coating, Glenmorangie’s Signet icon and each bicycle’s individual number. The road-ready Renovo features superior handlebars, pedals and other accessories. This is also the second collaboration in the “Beyond the Cask” series. For the first, Glenmorangie teamed-up with British eyewear label Finlay & Co for a limited edition sunglass collection with frames made out of casks, where each pair priced $400. 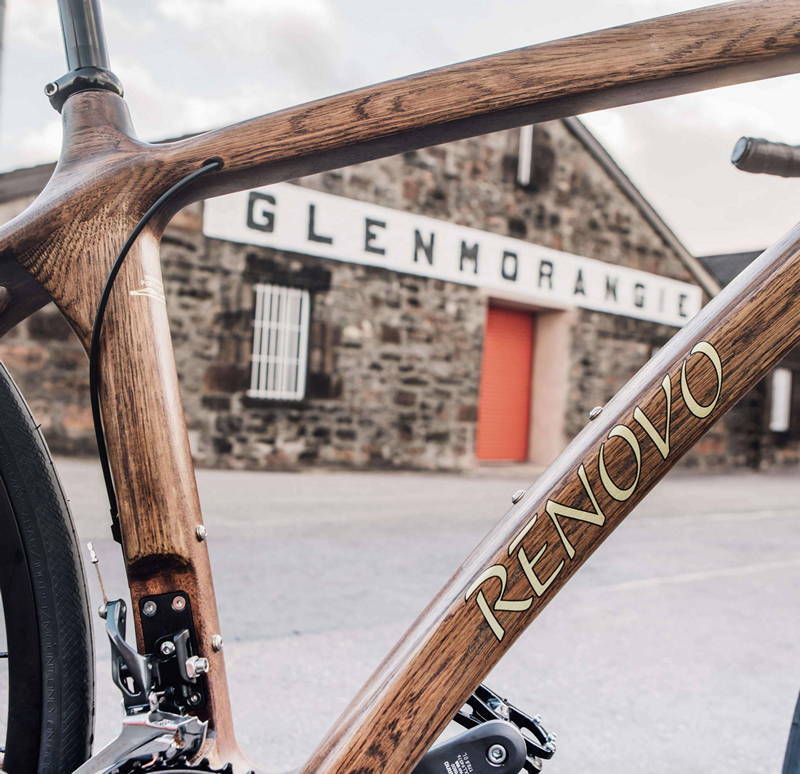 Pricing for Renovo Glenmorangie Original Bicycle starts at $7,000.